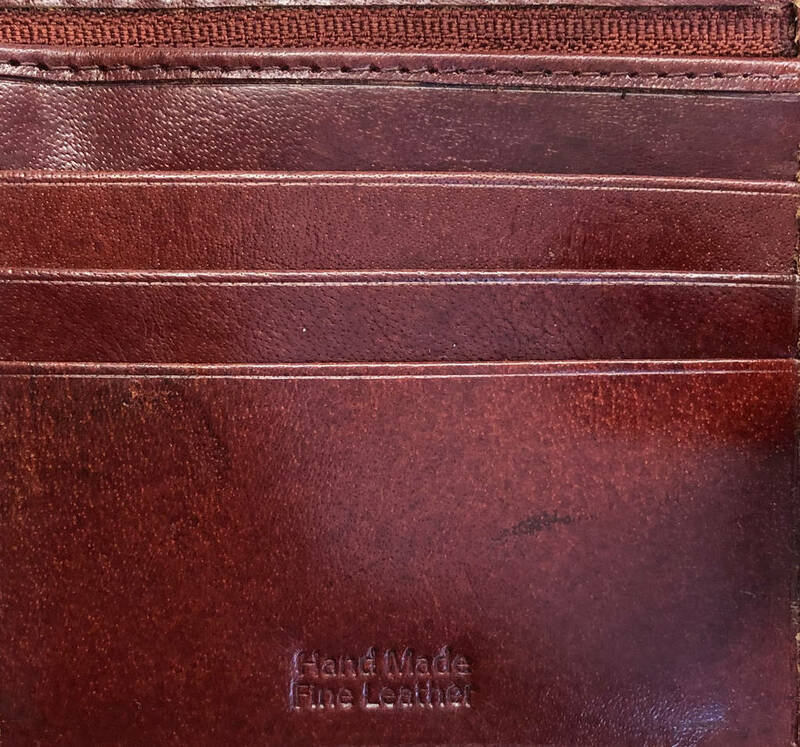 This genuine leather wallet is vegetable tanned and dyed naturally to ensure a premium look and feel. 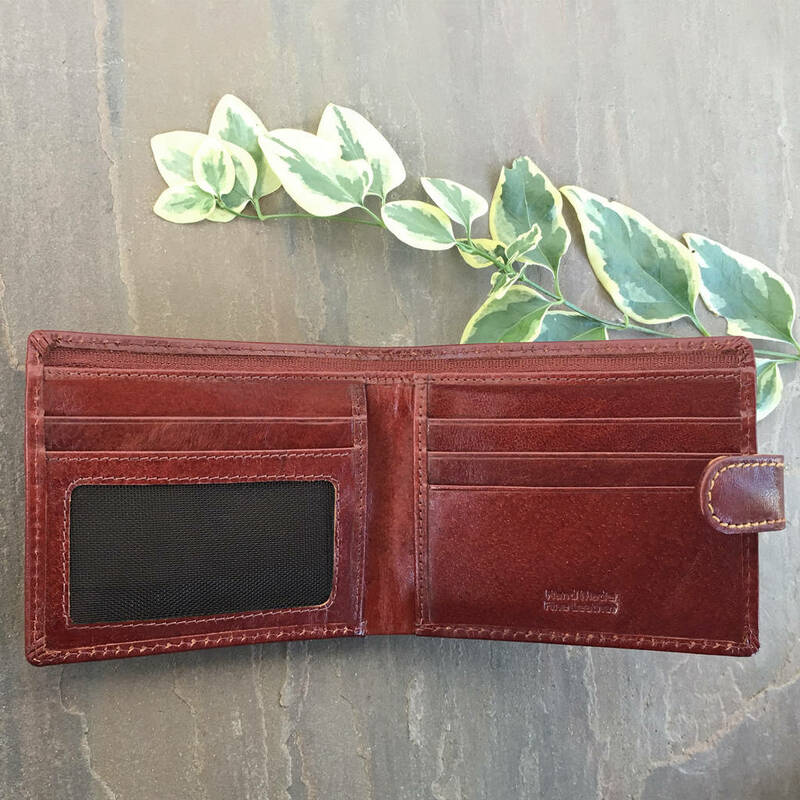 This listing is for the wallet only, it does not come in a box. 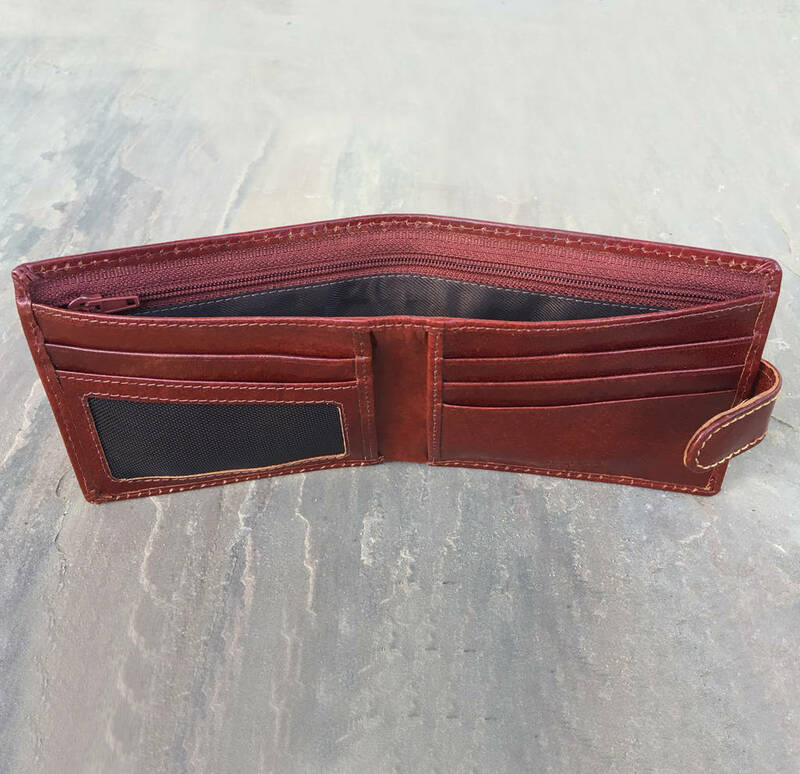 I have reduced this wallet as I am down to the final few of this style and have found them to have the odd, very slight imperfection. 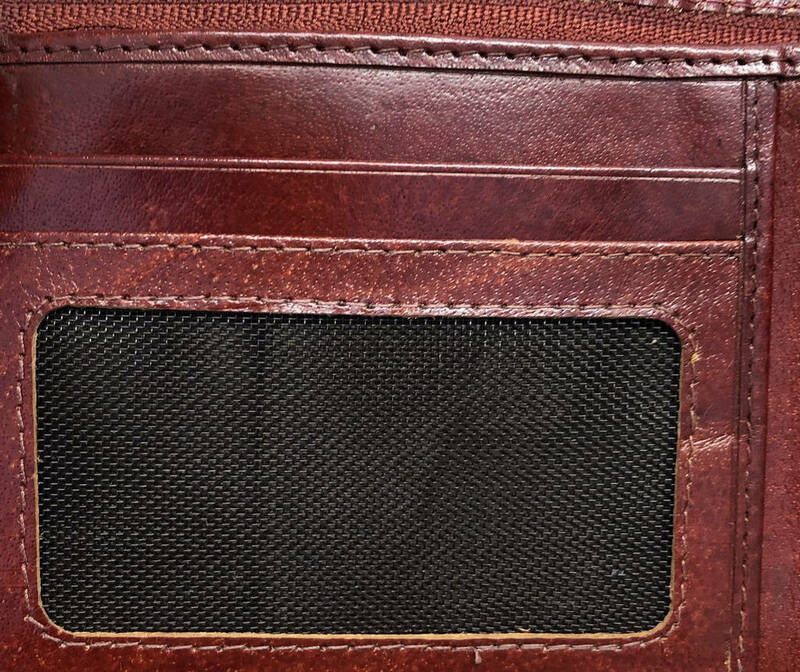 There was be a slight variation in the leather which shows as a lighter/darker mark or a crease to the material behind the photo/ID mesh - see images as examples. 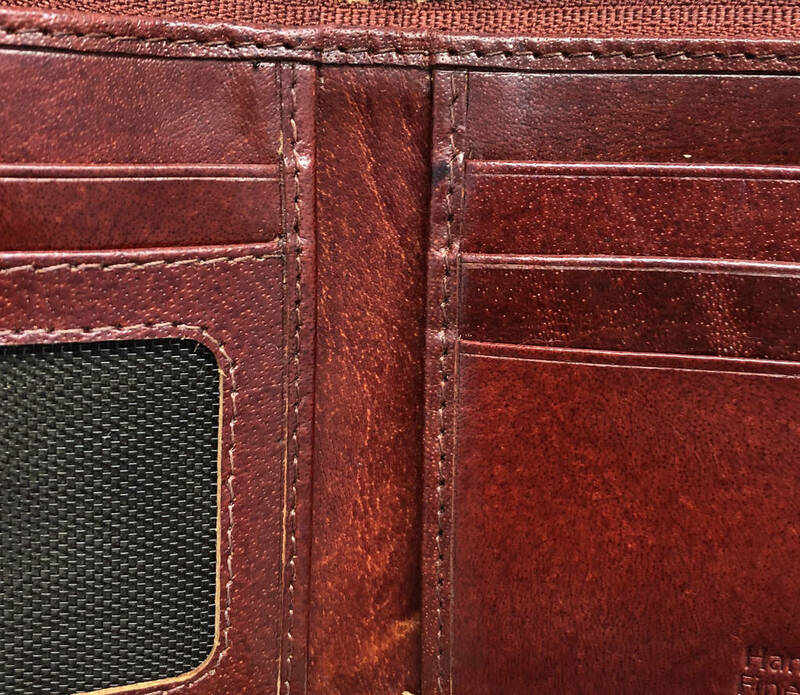 Fastening with a leather tab and popper and featuring a full length zipped pocket this tan leather wallet is an ideal gift for the security concious man whether it be a christmas, birthday, or special occasion gift. 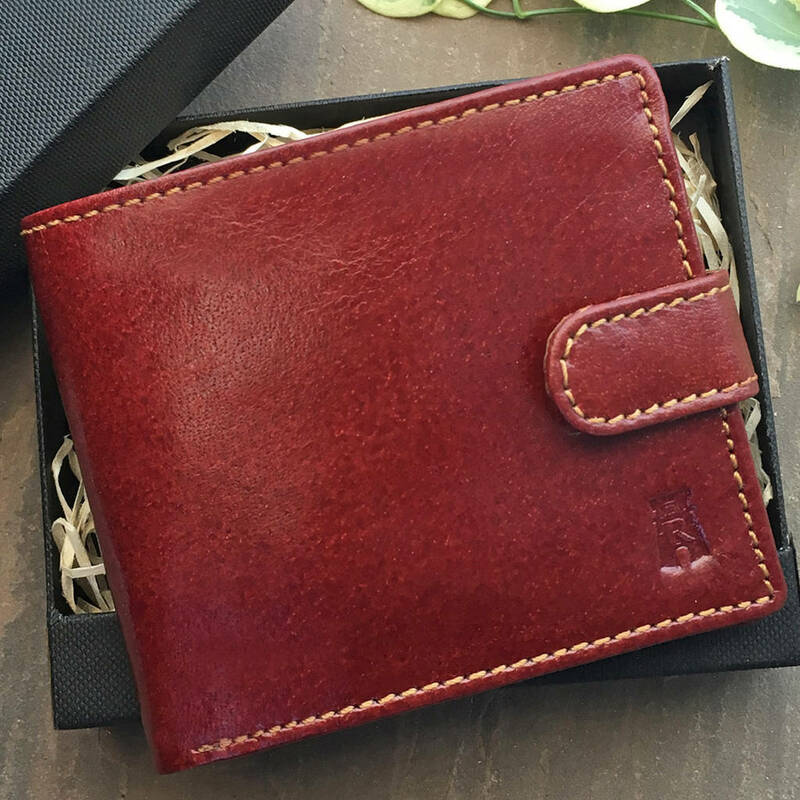 A leather wallet also makes a perfect thank you gift for the groomsmen.